Summer is here and like millions of people, you are probably planning on traveling. 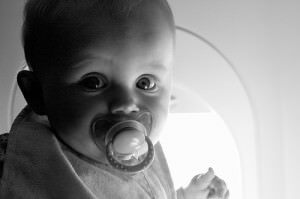 If you have young children, you might be looking for some ways to make the trip easier. 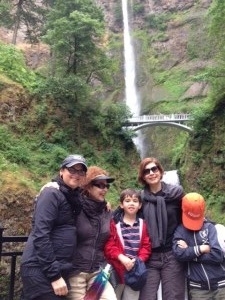 Here are 5 tips for summer travel with kids. There are lots of travel websites with customer ratings that can be very helpful. Many of them tell you if destinations are kid-friendly or not. You can also check out the travel section of the local bookstore or library. 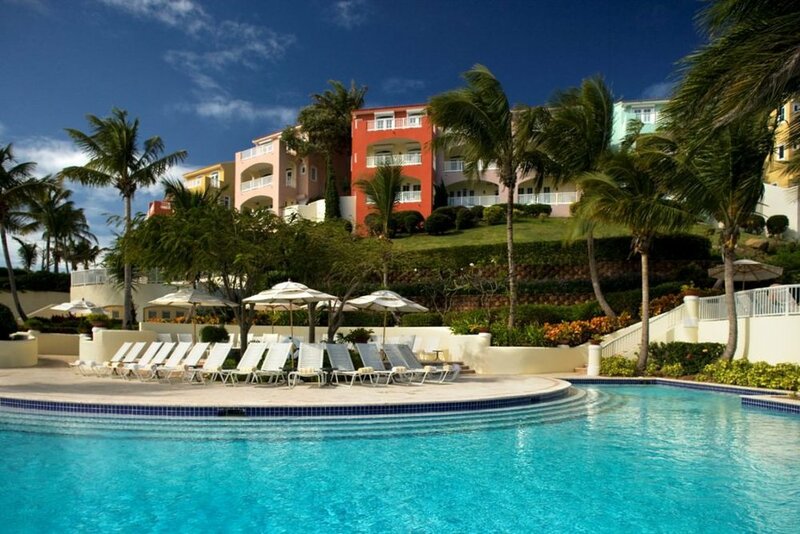 Travel agents can also take the guesswork out of booking a great vacation. A plastic tote fits perfectly in the backseat of the car and can hold coloring books, crayons, and small toys. Little Pim flashcards are a great addition to the box of goodies for the ride. If you're traveling by air, invest in a small book bag that counts as your child's carry on. It will easily hold these items and provide hours of entertainment. 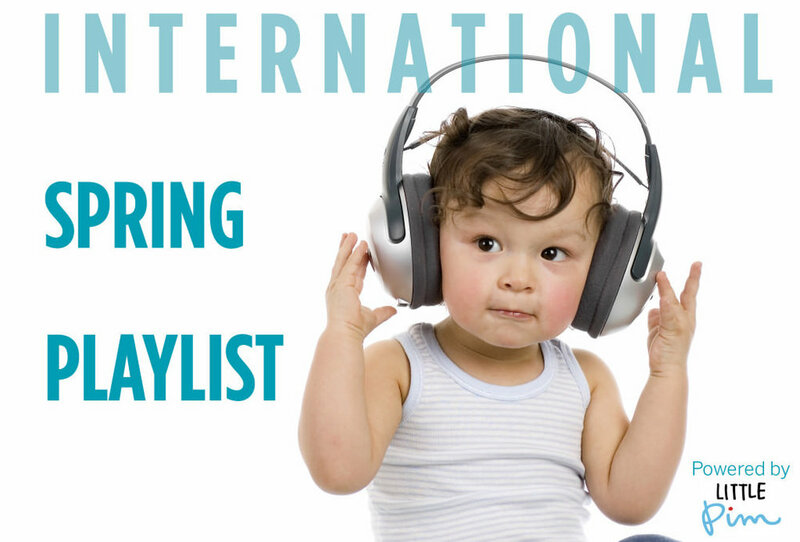 Download a playlist of kid-friendly songs for your trip. Bring your copy of Little Pim's Spanish or French Bop so the whole family can sing-a-long in a new language. 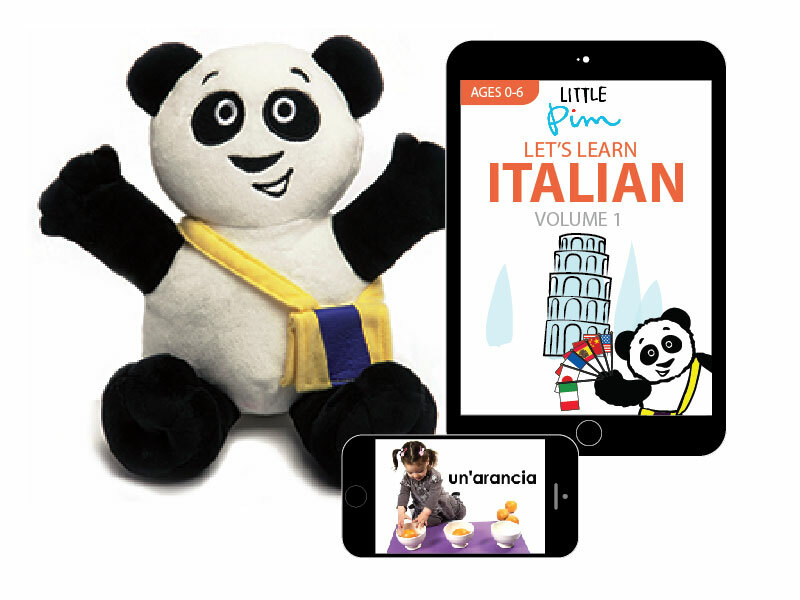 With Little Pim's digital downloads, you can watch our language learning videos anywhere, anytime. Of course, don't forget to bring your Little Pim Panda plush and tag your travel pics with #littlepim. You'll save a lot of money and avoid unnecessary stops if you already have small packs of crackers or pieces of fruit ready. Some sweet treats are also a nice surprise. It can already be difficult for little ones to be off of their normal schedule. If your kids still take naps, leave time for them to take one during the trip. Try to put them in bed at the normal time. If Little Pim is part of your daily routine at home, take some time each day to continue. Your child will benefit from progressing toward his or her goals. Summer is the perfect time for your child to begin or continue learning a new language with Little Pim and going on vacation can actually be a fun way to incorporate our program. 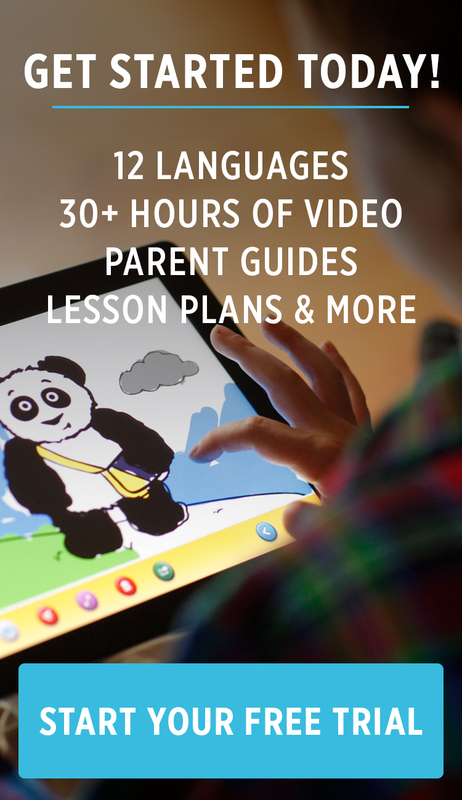 If you're interested in having your child learn any of the 12 languages we offer, visit our website to learn more and watch a free preview today. In the days before air conditioning and electronics, outdoor family games were a staple of summer evenings. Many times these activities involved both the adults and children, but more often the kids played while the grownups chat and relax. Often the whole neighborhood was involved. Depending on where you lived, you could hear happy voices calling out in Spanish, English, French, and many other languages as well. Fireflies twinkled in the gathering dark, cool breezes offered relief from the heat of the day, and everyone was ready to unwind and enjoy good company, and good fun, in the late summer evenings. Music rang out, with one adult playing guitar while others sang favorite songs from their cultures. You can readily update this time-honored tradition, bring in some nostalgia, and further your child's bilingual education. Following are some family favorites, along with suggestions on ways to help your kids learn a second language. Badminton - Look for a set at your local sports shop or discount store to bring back Badminton for a fun family outdoor activity. Try keeping score in the second language. Volleyball - Use your Badminton net for dual purpose and enjoy some fun while teaching the children new skills. Call out vocabulary words and instructions in a second language as the family plays Volleyball together. If you have little ones, use a balloon and try not to let it hit the ground by gently tapping it up and counting to practice your numbers. Horseshoes - All you need is a stake in the ground and some used horseshoes, or you can buy a set. What is the word for horse in the second language? Practice animal and nature vocabulary in the second language while playing the fun yard game. Frisbee - Toss around a frisbee and let the family dog join in. Each time someone catches the frisbee they must say a word or phrase from a chosen them in the second language. For younger children, you can say the word in the second language and have your child repeat after you on every throw. Sidewalk Chalk - There are so many possibilities with sidewalk chalk. Your kiddos will love drawing on the driveway! Get creative and add in language learning activities by playing 'pictionary' outdoors with chalk so your little ones can guess the drawing in the second language. Another fun activity would be to draw the map of the language's country of origin or have the kids draw and color in the country's flag. Campfire - Make a fire in a fire pit or other safe area and sing camp songs or tell stories while roasting marshmallows. Bring out the guitar or maracas for even more fun. What songs can you introduce in a second language? Check our Little Pim Spanish Bop and French Bop on our website. You can download your copy instantly to make summer travel a lot more fun! Now, look back to when you were a child and recreate some of your best summer fun with your kids. How can you involve your children in the culture, memories, and the language of your childhood or the language and culture your kids and family are learning? Time together is how we make lasting memories that children will cherish. Current brain research and best educational practices show that active, hands-on learning and parental involvement is an unbeatable combination to help further a child's ability to grasp and retain knowledge. Comment below for more information on Little Pim's award-winning language learning program for kids ages 0-6. To make summer travel a lot easier and fun for the little ones, check out our post on Summer Travel Tips with Kids. Need Summer Travel Tips with Kids? Little Pim to the Rescue! Tell a parent there's an unanticipated three-hour car ride or plane trip in the near future, and in five minutes flat you'll find a lined bag busting with tissue, snacks, coloring utensils, and the child's comfort item of choice. Relief, however, will be not be found. Why? It takes this bag just to get to the grocery store! If there's one thing capable of infusing fear, hesitancy, and anxiety into an upcoming summer adventure, it's traveling with kids. What we hope is an exciting and restful experience, can often become a melting pot of opposites. Fortunately, Little Pim has come to the rescue! Not only has Little Pim created learning tools proven to plant seeds of exploration, joy, and an expanded worldview into the youngest of children, the tools offered are as transferable to travel as to an afternoon at home. If you're looking for tips for Summer travel with kids, the following products will do the trick. Use these flashcards to familiarize your kids with sights and sounds discovered along your way. Play a guessing game or have your children quiz each other. To play, point to a flashcard and your child has to say the word in the language he or she is learning. If your child is having trouble remembering the word, you can say the word and he or she can point out the card. Before starting, read through the flashcards, pointing to each as your child repeats after you so it sinks into his or her memory. Reward your child when they get 5 correct with a small treat like a gummy bear for example. Little Pim flashcards are really easy to travel with and make long trips with kids fun & educational for the whole family! Thank you, technology! Rest assured your kids are learning while you're resting, enjoying while you're planning, and engaging while you're focusing on what's next. Each of our videos has a unique child friendly theme, such as eating, playtime and feelings. Our Entertainment Immersion Method® is based on how children naturally acquire language. The videos are segmented into 5-minute episodes to accommodate a young child’s attention span. The more your child watches, the more they learn. Simple sentences are broken down and are reinforced through repetition by native speakers. Whether traveling to a foreign country where shopping and touring elicits perfect opportunities to put new languages into practice, or just a state away to visit family, these scripts and companion guides will help your family enjoy not only the vacation, but the book-ending miles. Memorize a conversation and pretend you are in the nation where the language is native. Discuss fun facts about the place. Whether this panda is involved in a learning activity, or your child just needs some comforting to fend off travel-sickness and tears, this plush friend delights to come along. For more fun tips, products, answers and ideas, please contact us. We look forward to hearing how Little Pim helped replace your stress with rest this Summer! Heading out of town for a sunny family road trip? You’re not alone; car travel is the most popular way for families to travel during the summer months. But it doesn’t mean it always easy. Never fear, our family travel expert Melissa Klurman is here with tips and tricks to make your family road trip as smooth as your favorite roadside frozen custard. Nothing makes a trip fly by like special snacks. Make a road trip bento box for each child in your car using a plastic tackle box from the craft store – fill compartments with kid finger food faves such as goldfish, grapes, string cheese, and fruit snacks. Don’t forget water bottles and juice boxes to quench your thirsty back seat crew. One of my favorite tips from my early travel writer days was to make a portable desk from a small plastic storage container – fill it with washable crayons and markers, stickers, and paper, then use the top as a “desk”. When I’m feeling lazy, I make do with a shoebox. Best part? Everything goes back in the box for easy craft cleanup. My family plays endless (and I mean endless) rounds of “I Spy” and “20 Questions” both in the car and any time we stop for a meal break. To keep my sanity, I also stock up on magnetic travel games such as Travel Bingo to switch things up. Another great option for car and restaurant fun is Flashcard Speed Rounds (we flash a card and see who can get the answer first) – perfect for Little Pim’s 11 different language flashcard options (check out Spanish, here). One of the highlights of traveling by car with kids is being able to let them snuggle up with their favorite pillow and stuffed animals from home. Don't miss this opportunity for quiet car time -- turn the back seat into a nap friendly spot with fluffy toys, blankets, and pillows your kids love. Although we always try to stay unplugged for as long as possible to enjoy the scenery, for extended car trips, it’s often a relief for everyone to have a variety of entertainment options available. Preload your tablet or phone with kids friendly music, video, and game and app options so they're ready when you want them. And don’t forget to pack over–ear headphones if you need them for quiet viewing. Buon Voyaggio!! Have a great trip! 2. Do you homework: Check out the weather in your destination on an app such as WeatherBug and pack for the climate without bringing “just in case” clothes. Consult the hotel’s website, or give them a call, to determine if they have supplies you can leave at home. Many hotels stock everything from baby proofing kits to booster seats. 2. Switch It Up – When it’s time to pack, don’t think "one suitecase-one person." Intead, divide everyone's clothes over multiple bags. You should have some of your kid’s or spouse’s pieces in your bag, and vice versa; covering you in the (hopefully rare) case that one of your bags goes missing or is left at home (trust me, it happens). 3. Plastic Rocks! – If you remember only one word about vacation packing with kids, make it PLASTIC. Put suntan lotion, shampoo, or anything that might leak in Ziploc bags for checked luggage. Tuck a few more into your suitcase for wet bathing suits, sandy shoes, or dirty bibs. Plastic zip bags for snacks on the go turn into drip-free garbage bags when you’re done eating. And if you’re packing for a dressy occasion, pack outfits in individual plastic dry cleaner bags and then place in a garment bag – the plastic layers keep clothes wrinkle free. 4. Roll, Roll, Roll – To save space when you’re packing, skip the “square” fold and roll instead. Lay shirts flat, fold arms in and across each other, fold in half length-wise, then roll from top to bottom. Tuck rolled items up against each other to create rows of rolls. In the corners, place shoes which should be filled with rolled socks. 5. Mesh to the rescue – Mesh laundry bags, usually sold for laundering your delicates, are travel lifesavers for families. For babies and tots, place easily visible, whole outfits into the transparent bag, then tuck the dirty clothes back inside when you’re done with them for easy drop and wash when you get back home. For you, place bathing suits and lingerie for easy snag free packing and washing. Added bonus: if you’re flying with carry-on luggage and your bag gets inspected, you can skip the whole strangers-holding-up-your-unmentionables part of the inspection since the contents are partially visible. Melissa Klurman is an award-winning travel writer and editor who has professionally demonstrated how to pack suitcases on CBS, FOX, and NBC programs – she still, however, has trouble deciding which shoes to bring on vacation. Want to try out your child’s Little Pim language skills with a family trip to Europe? Follow our 7 easy tips to visit the continent without breaking the bank. 1. Friendly Skies: To save on international airfare, remember this one easy tip: Depart on a Tuesday, and return on a Wednesday for the lowest fares. 2. Shoulder Your Way To Savings: Shoulder season is what the travel industry calls non-peak travel season, the periods between prime summer months and the Christmas/New Year’s holidays. If you’re flexible, visiting Europe in the “shoulder” months of January through March will save you a bundle. 3. Do Your Homework: Not all credit cards are created equal. Check before you jet off to make sure your card doesn’t charge foreign transaction fees. Note: Amex Platinum, most Capital One cards, and Chase’s United MileagePlus and Sapphire cards are all good options to avoid foreign fees. 4. Pack Smart: Most airlines will allow one checked bag free on international flights, but charge a HUGE surcharge for a second bag, up to $100! Think one large (within the weight limit) bag per person, instead of two smaller ones. 5. Home Away from Home: For families, nothing beats an apartment or house for stretching out and cooking your own money-saving meals. Try Airbnb for unique options and user reviews or VacationHomeRentals.com for everything from Italian villas to Paris apartments. Want to stay for free? Home exchanges with a like-minded European family might be just the ticket. Check out HomeExchange.com or HomeLink.org. 6. Ride the Rails: Whether you ride London’s Tube (where kids 16 and under ride free) or the multi-country Eurail (kids under 4 free, kids 4 to 11 ride for ½ price), train travel is the most economical option for European family travel. Plus, most kids love a train ride, so you have built-in entertainment value as well. 7. To Market to Market: Now that you have your own room with a view, and a fridge, you can take advantage of farmer’s markets, artisanal shops, and roadside stands to eat like a local and on the cheap. Bon appetit and bon voyage!